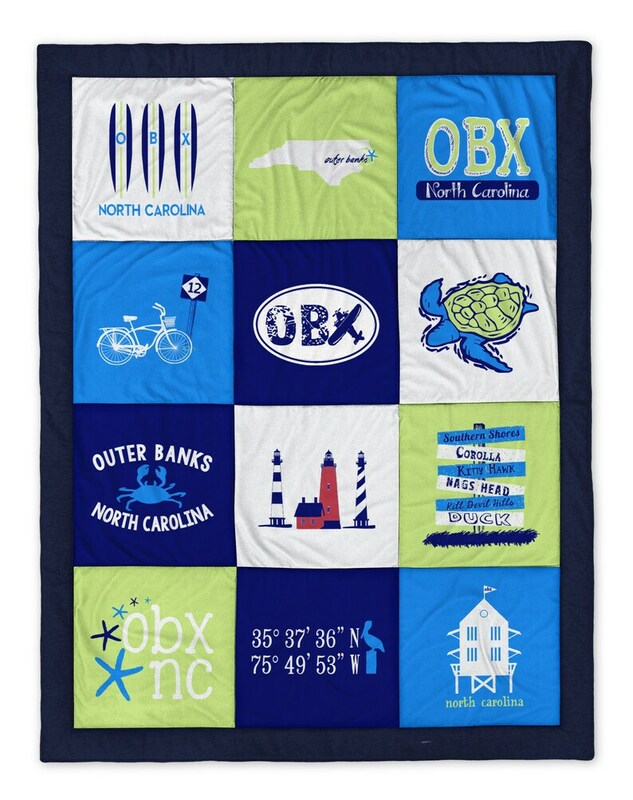 Our Outer Banks OBX 2 Navy Destination™ Classic Blanket! 62" x 80" 100% cotton, polyester filled, comforter. Made of soft and durable sweatshirt material this is a 12 panel stitched blanket with navy border. I absolutely love my OBX beach blanket. This is my third blanket from beachside clothing and they have never let me down on the quality. I love the OBX and this just makes me feel like I am there.